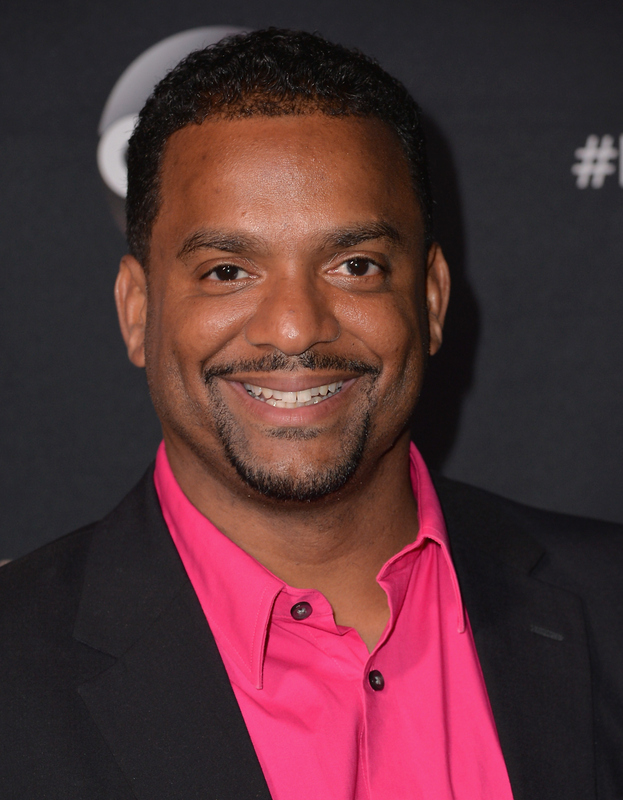 You know him, you love him, you've laughed at him, and now you get to laugh with him each week when Alfonso Ribeiro begins hosting America's Funniest Home Videos this fall. The show, which started airing in 1989, is changing things up with Ribeiro as host. His predecessor, Tom Bergeron has hosted the show since 2001. Ribeiro, who is currently on a Chex Mix Deliciously Unpredictable Road Trip with the Eh Bee Family from Vine, spoke with Bustle about his new gig and couldn't hide his excitement. "I'm very pumped," he says, "I can't wait for us to get started!" Ribeiro adds host of America's Funniest Home Videos to a long list of incredibly accomplishments. Most recently, Ribeiro has become a Dancing with the Stars champion on Season 19 of the show. Ribeiro says that Tom Bergeron, then host of America's Funniest Home Videos, didn't necessarily give Ribeiro advice to host the show, "but he did give me a vote of confidence that [Bergeron] did think that I was the guy to take over for him," Ribeiro says. The DWTS champ says that Bergeron made it clear to all the powers that be that he should be the guy [to take over]. "I was really fortunate to have him as a true supporter." Ribeiro says that Season 26 of America's Funniest Home Videos is going to look different now that he's hosting. "They're upping the look, they're upping the fun," Ribeiro says. Today, people are constantly recording videos on their phones, which Ribeiro says will make the videos "current." So what type of video makes Ribeiro laugh? If you want to hit The Fresh Prince of Bel-Air star's funny bone, then just completely fail at something and make sure it's recorded. "For me, I love the epic fail," Ribeiro says. "I absolutely enjoy when people have a plan, but it did not work out. We get to reap the benefits of that laughter." You can check out Ribeiro hosting America's Funniest Home Video on Oct. 11 on ABC. And, to follow his road trip with the Eh Bee Family, just go on any social media platform and search the hashtag #ChexMixRoadTrip to see the their videos and pictures of all the things they're doing.